This full version of King of Math was well worth buying! It is a free game initially when you click the link. We decided to review the full version due to the enormous value of the content! **Parents can view iPad kid settings video on our home page if you don’t want internet access available. 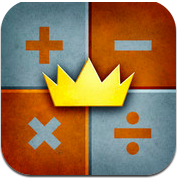 Playing King of Math is a great way to improve or refresh you mathematical skills and you will have a lot of fun doing it! The mathematics level is about Middle School/Junior High School. Includes Multiplication, Division, Arithmetic, Geometry, Fractions, Powers, Statistics, Equations and Mixed. Fantastic graphic and stimulating music in the background will keep our kids going. It gave me a run for my money!! Money well spent :- ) for us all! Infrequent/Mild Cartoon or Fantasy Violence has this rated in the store for age 9 and up. 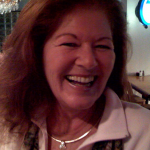 You can choose to be a male or female and play ten different levels of each category. The leaderboard can keep track if you like! Addition, Subtraction, Mixed and Multiplication! Geometry, Fractions, Powers and Equations! What was the initial inspiration for King of Math? We wanted to do a really good math game for middle school kids that went beyond the usual arithmetic exercises. There are many math games for younger kids on the App Store, but not so many that targets an older audience. We believe that learning should be fun and we wanted to do a high quality educational game that was as fun and engaging as a regular computer game. We really like the simplicity of the game and that it is so easy to pick up and get started. At the same time we have integrated elements of modern gaming like online leaderboards, achievements and character leveling which gives the game more depth and additional value. We are also very happy with the graphical design and all the music that we managed to squeeze in – a new song for every new character level.